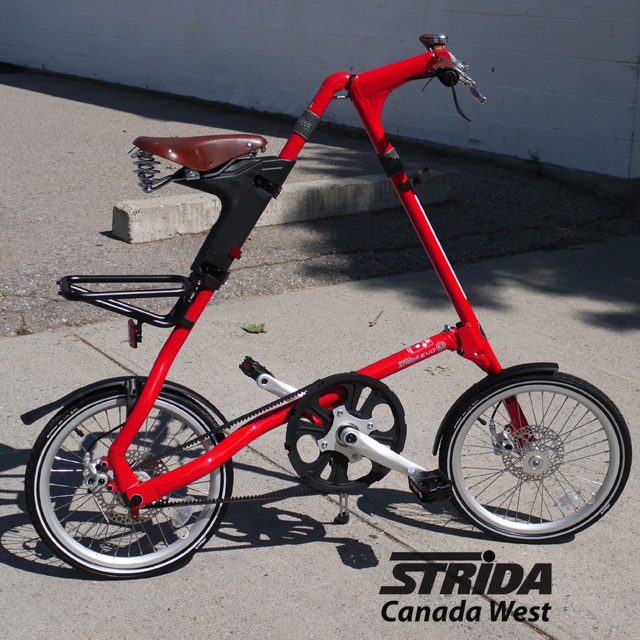 The Strida EVO 3 speed is available with either 16 or 18 inch wheels. 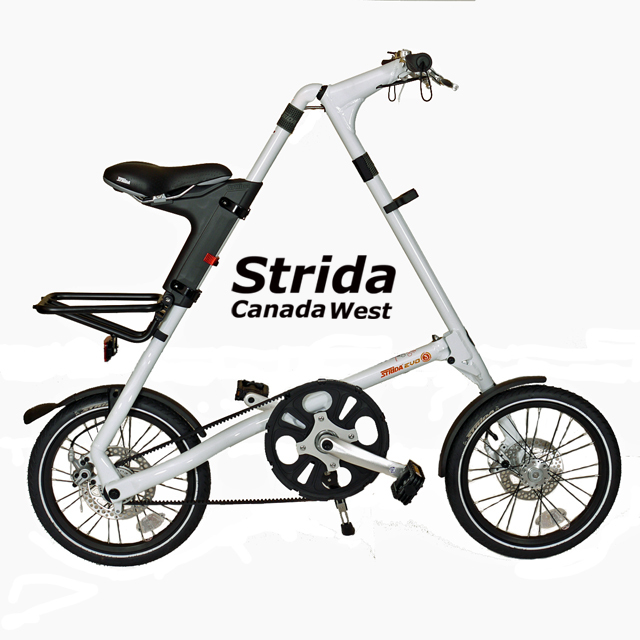 The wheels are interchangeable so please ask if you prefer a colour but not the included wheel size. 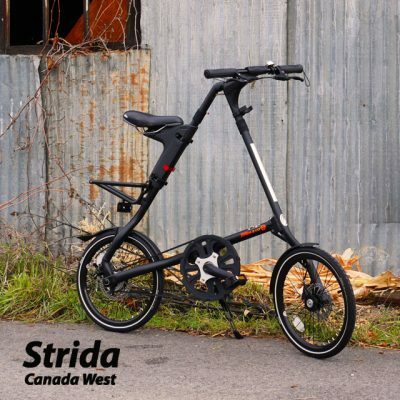 The Strida EVO 3 speed is equipped with a custom 3 speed Sturmey Archer gear box located in the bottom bracket of the bike between the pedals. 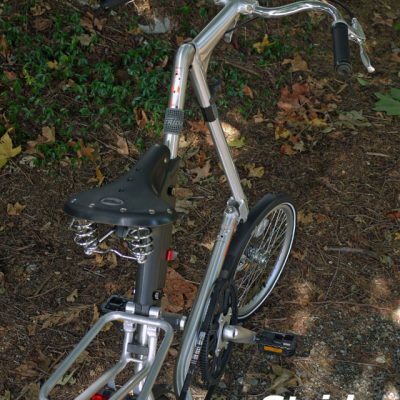 Shifting the 3 gears is simply done by back pedaling until you hear a click. 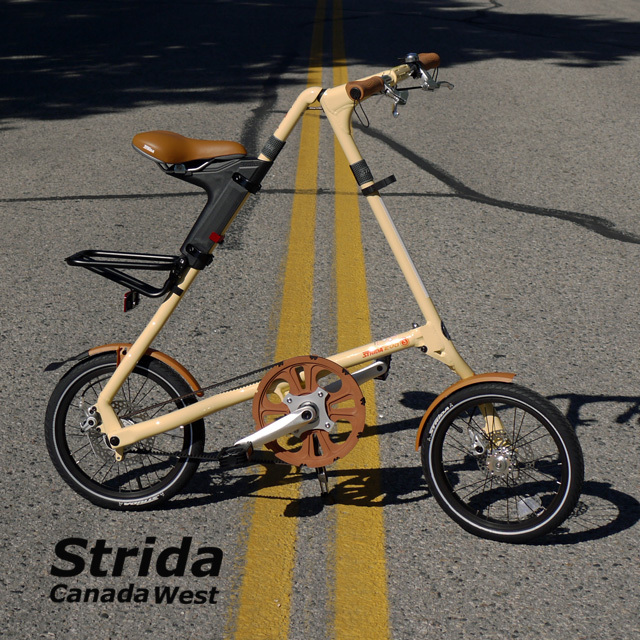 The 3 gears are sequential, 1,2,3 so if you are in 3rd and want to downshift 1 gear to the middle gear you need to back pedal until you hear 2 clicks. 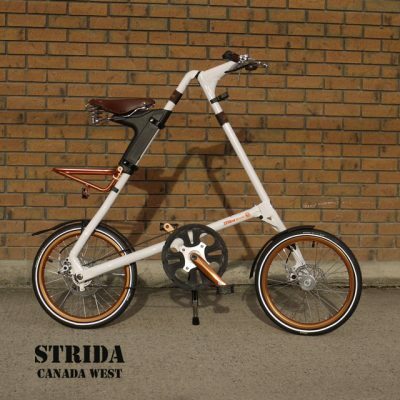 Strida bikes also have a choice of three different handlebars sets, the handlebars are interchangeable. 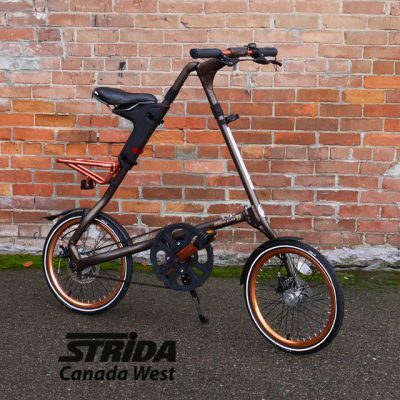 The Standard handlebars are straight, the tow other option are Bent or offset, for tall riders, and M-Style for added comfort. 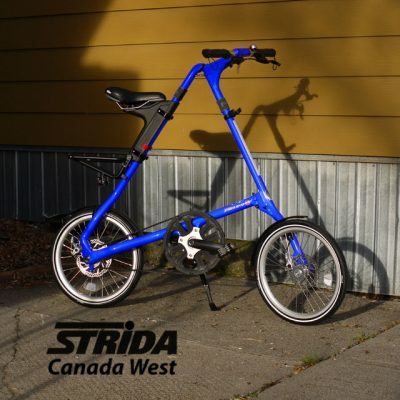 If you would prefer different handlebars then please contact me. 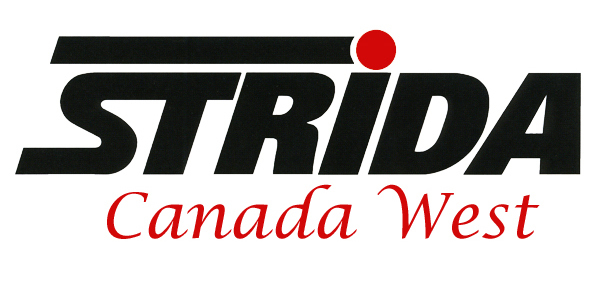 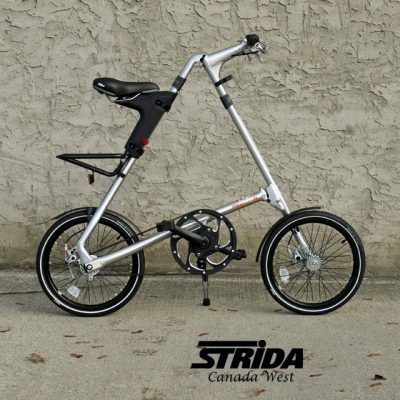 More info on the different Strida Bike models can be found here.